If you’ve got a speedy internet connection at home, but it seems slow, it’s possible its’ not the connection itself but the speed of your chosen DNS server. 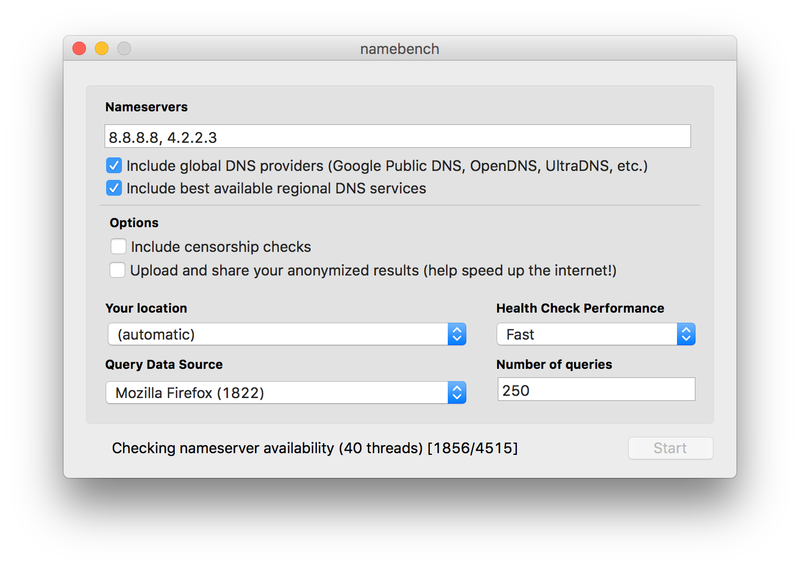 To figure out if the DNS servers are part of the problem, check out namebench, a DNS server benchmarking app. namebench compares your existing DNS servers to a large list of other DNS servers, and shows you how they all perform. Click Start, then go ahead and find something else to do for a while—the benchmarking process may take 15 minutes or more, depending on how many name servers it can see.